How to distinguish between repairs and capital improvement for tax for a rental property? Bill, a theoretical Landlord, wishes to refurbish a kitchen. This will be considered for Income Tax purposes as a repair, provided that the new kitchen is of a similar standard to the one it replaces. Associated works such as rewiring, plastering, tiling and replacing of fittings, including sinks and built-in appliances including cookers and dishwashers, will also be accepted as repairs. 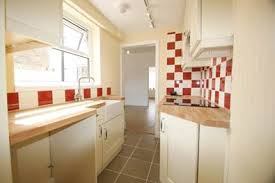 If on the other hand, the kitchen is substantially upgraded perhaps by increasing the number of units, or by using higher quality materials, the whole project cost should be treated as a Capital Improvement. This can be set against Capital Gains Tax on any future sale but is of no advantage in reducing Income Tax. Similarly, a new central heating boiler should be treated as a repair for tax purposes unless there is no existing central heating system at the property. For more information and advice on letting or managing a property, please contact our Residential Lettings & Property Management Professionals.